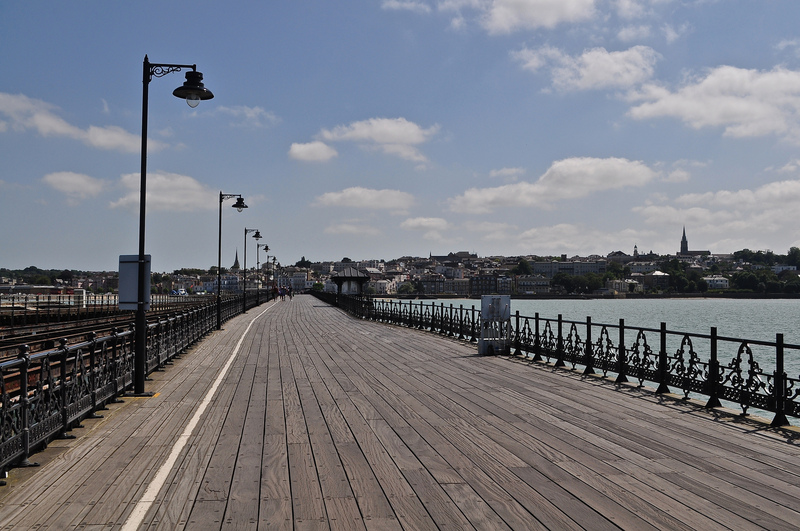 I first heard about the Grade II listed Ryde Pier when I listened to the well known Beatles song of a similar name if not spelling. Apparently John Lennon and Paul McCartney visited the island in the ’60’s to visit Paul’s cousin and inspired this well known ditty. It wasn’t until recently however – and funnily enough, just in time for its 200th bi-centenary this coming 26th July – that I came to town to have a good look at her. 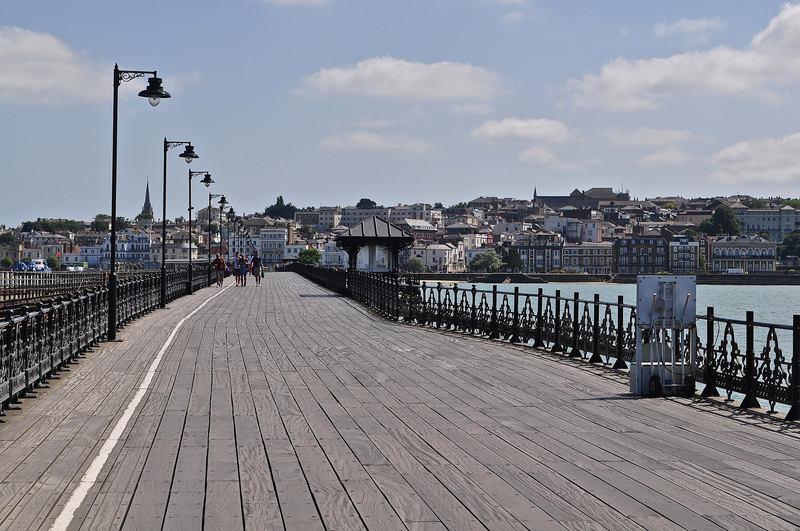 She’s the oldest seaside pier in England, she’s a true working pier and still in relatively good order! 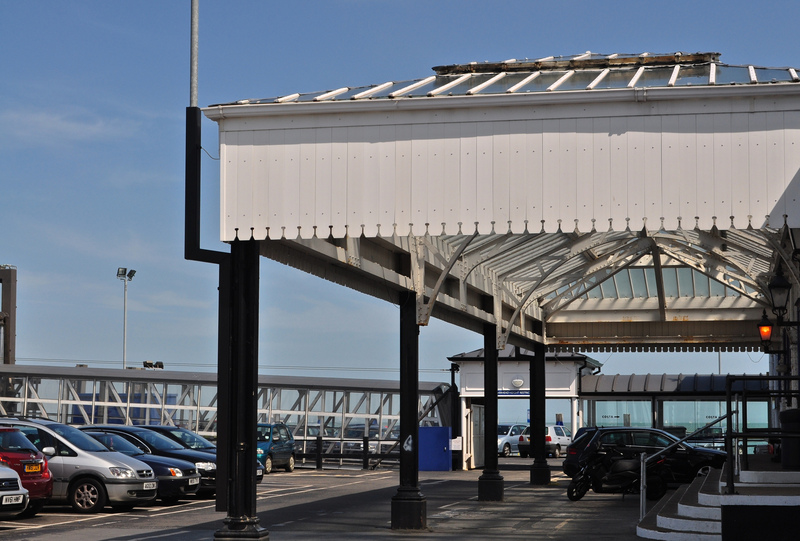 There’s a Victorian train station at her pier head, used now for passengers travelling on the cat over to Portsmouth. You can hop off the Wightlink Catamaran and onto a train to Shanklin (my favourite Isle of Wight resort) all from that same pier head. What’s even stranger is that the trains are vaguely familiar – as they should be for this girl who has spent most of her life in London! 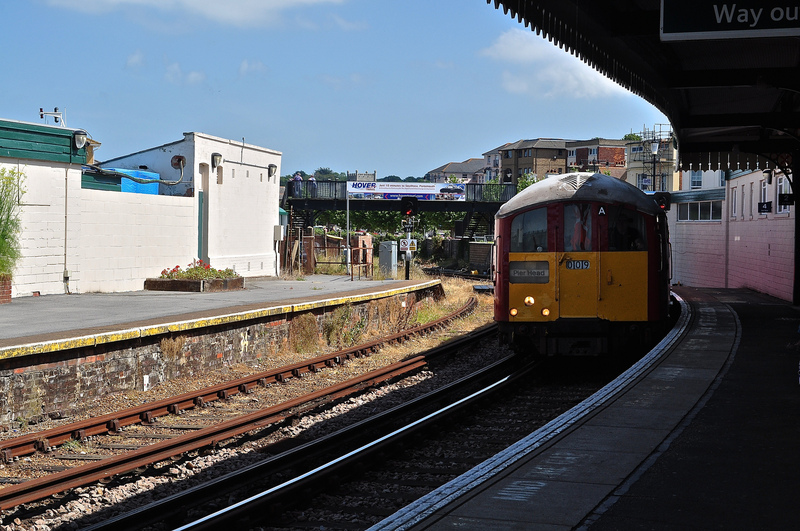 They are ex-Underground trains which have found a new lease of life trundling around the Isle of Wight – brilliant. 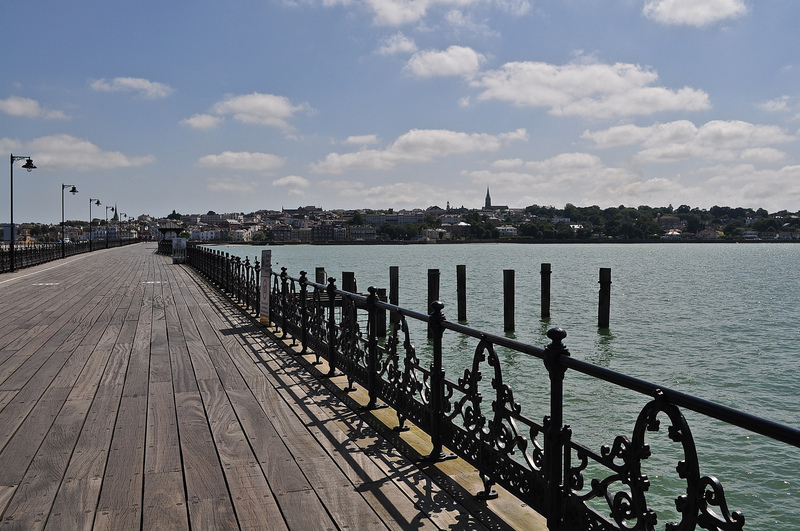 Anyway – back to Ryde Pier. 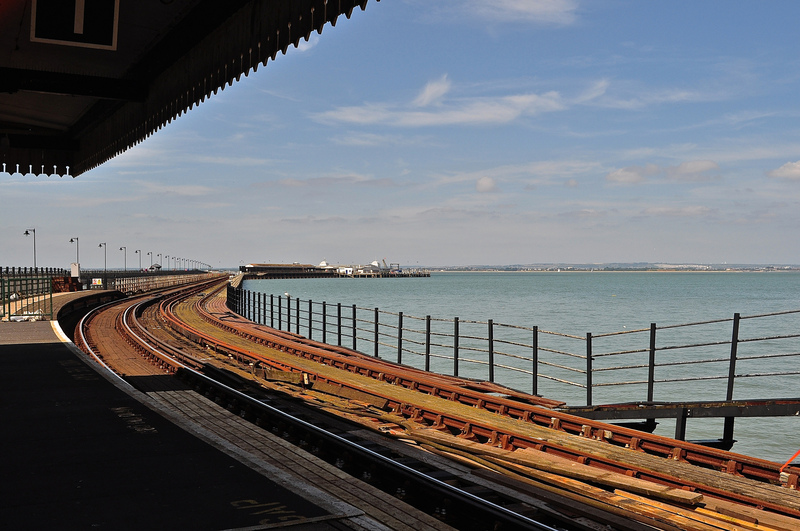 When the tide goes out, the sea is a long way back so before the pier was constructed, passengers disembarking at Ryde had to cadge a lift on the back of a sturdy porter or walk up to half a mile across wet, boggy sand before reaching landfall. So in the Victorian Era, where days out at the seaside was becoming a possibility for more and more of the population, the need for some sort of structure was required in order to attract lucrative tourists. The pier was designed by John Kent of Southampton as a timber planked promenade – originally at 527 m then extended to 681 m. A second tramway pier was opened on 29th August 1864 (its structure can still be seen next to the timber promenade) and a third addition – the railway link direct to the pier head – was opened on 12th July 1880. ← I took a flight to the Isle of Wight – a Hovercraft!